Helps prevent cancer, protects heart and circulatory system, builds strong bones, high vitamin A and C, calcium. What we normally call “broccoli”, is actually the top portion with unopened flower buds. 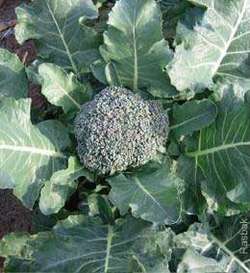 If we let them grow, they open into small yellow flowers that have a mild spicy broccoli flavor and are delicious in salads. 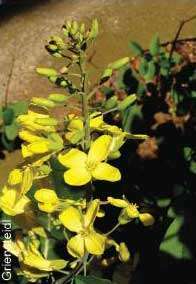 One way to identify a plant from the mustard family (all of which are edible) is the flowers have 4 petals with 6 stamens–4 tall and 2 short. 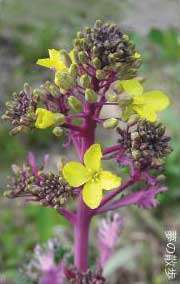 Brassica oleracea var. italica. A biennial crucifer of the order Capparales which is grown for its edible stalks and buds. There are very few food items and dishes that provide essential nutrients and still look good -- broccoli is one such item. The extraction of concentrated extracts of broccoli is making it into the press more and more frequently. The team, which wanted to determine which GSs and their products actually boost the enzyme levels when broccoli is treated, found that one way to increase GSs is to spray a plant hormone called methyl jasmonate on broccoli. Next, they blanched broccoli at slightly lower temperatures than usual. A long period elapses before we hear much about broccoli again, perhaps because of the lack of distinction from other brassicas. When the broccoli was blanched at 76 C for 145 seconds, its lipoxygenase content was inactivated by more than 90%. If you eat lots of greens, such as broccoli, why did you show early signs of AMD? When you eat this broccoli C* you get a reduction in cholesterol in your blood stream," he told Associated Press Television. This study shows that even if broccoli is overcooked, you can still boost its benefits by pairing it with another food that contains myrosinase," she said. Though growing conditions had been difficult this year, new varieties had been trialled with success, said Martin Haines, a Gloucestershire purple sprouting broccoli grower.